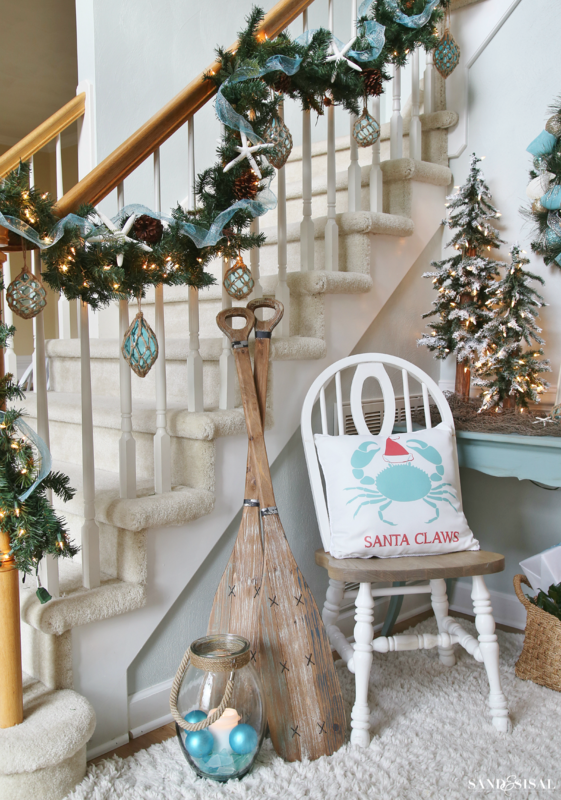 If you saw the previous blog post revealing my master bedroom all decked out for Christmas then I’m sure you saw all the beautiful coastal pillows. 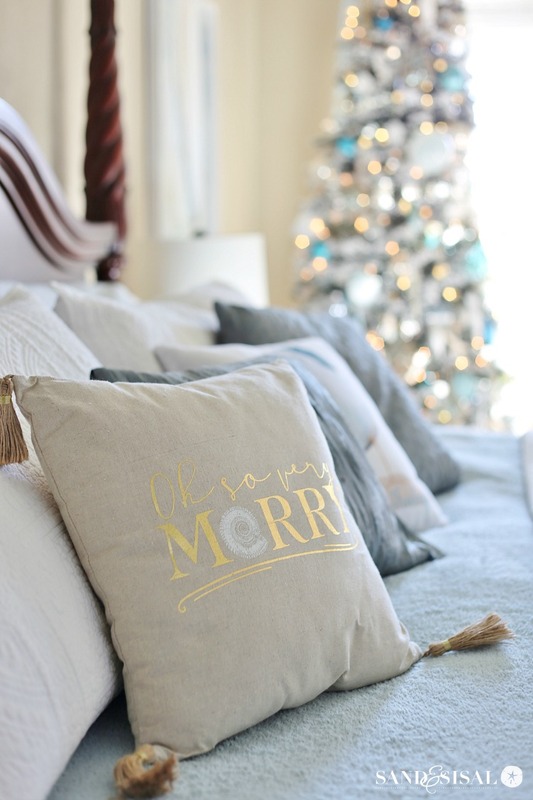 A girl can’t ever have too many pretty pillows and today I’m sharing 25+ Coastal Christmas Pillows and giving away a gorgeous Oh So Very Merry Pillow (like the one seen below) made by Mud Pie and provided to one lucky reader courtesy of O.C. Local Fare, a cute coastal shop in Huntington Beach, CA. I’ve provided affliliate links for all the pillows you see here for your shopping convenience. Just click on the pillow titles to see where they are sold and the prices. Most are on sale right now too and would make great gifts! Click the blue title links above each pic to go straight to the store to shop! 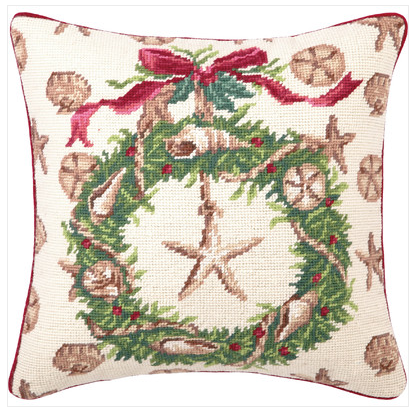 Aren’t these coastal Christmas pillows gorgeous? 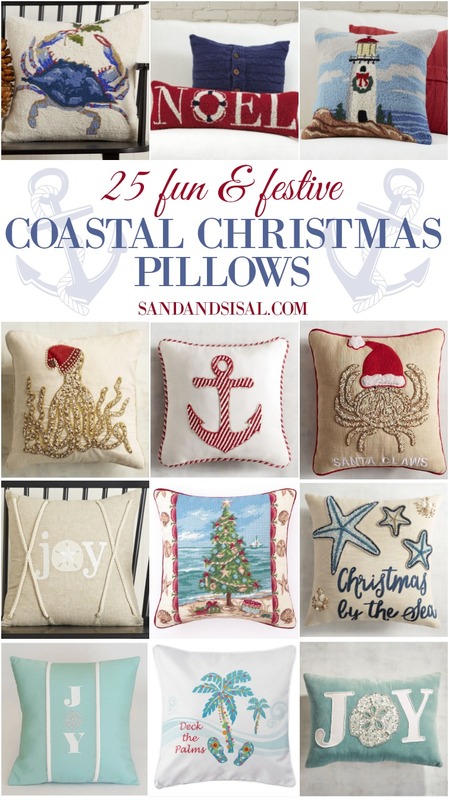 Ready to enter the coastal Christmas pillow giveaway? Enter for your chance to win in the Rafflecopter form below. Open to the USA only. 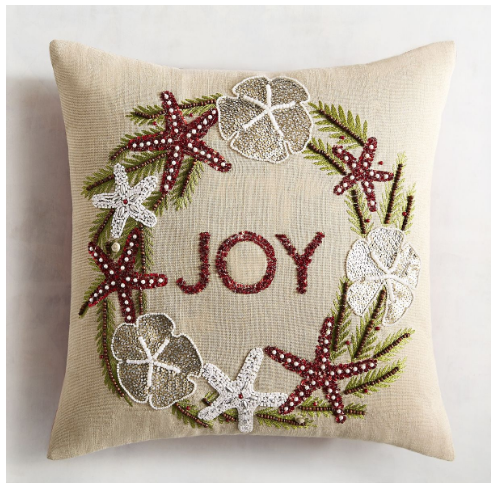 Love the “joy” pillow with the sand dollar “O”. 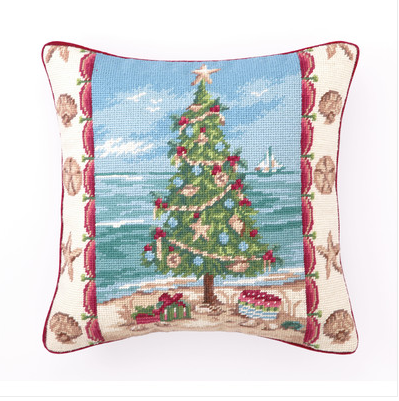 Love the coastal Christmas tree on the beach pillow! Deck the Palms is so cute!! 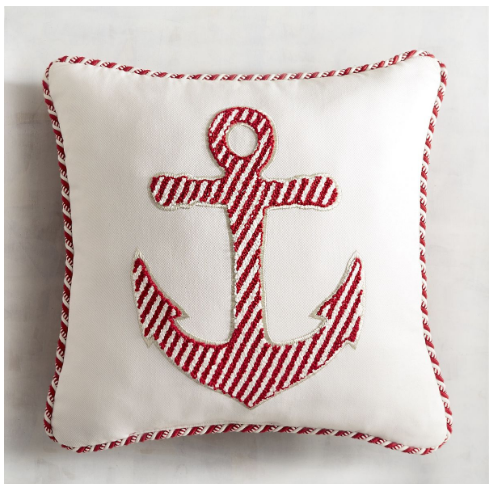 I LOVE all of these coastal pillows!! I love the Christmas whale pillow. It is just so adorable! Oh, how to pick just one!!! I would say Joy with the light blue/green background. Thanks for showing us a great selection. 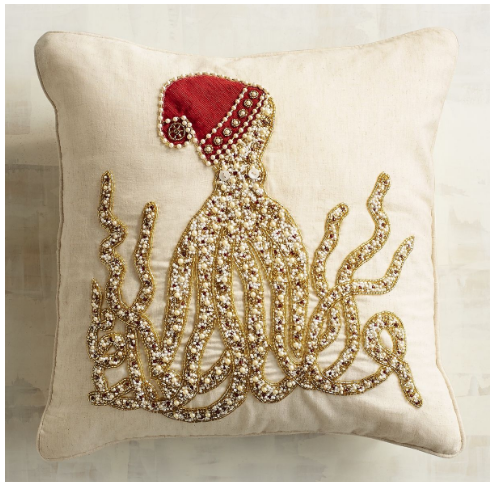 I think the Christmas octopus is absolutely adorable! Love these! The JOY pillow is the BEST! 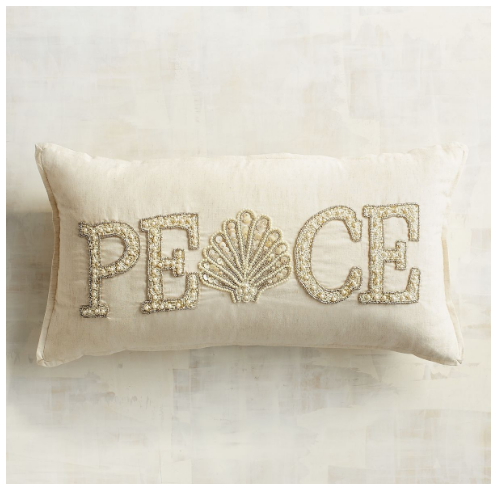 Love, love, love all these pillows but especially love the ones from O.C. Local Fare! I’m forwarding your link to a friend. I love the palm tree one because i from Florida!!! 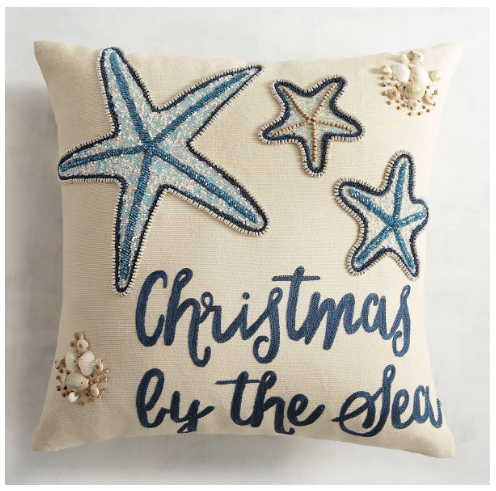 I like the “Christmas by the Sea” with the starfish pillow. 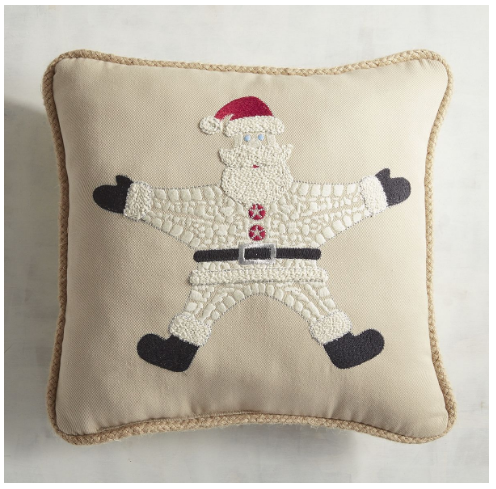 Love all of them, but fave is the oh so merry pillow. I love the ones with the Crabs!!! Christmas Tree On The Beach. I love your blog! The pillows are beautiful. Wow! So hard to choose! 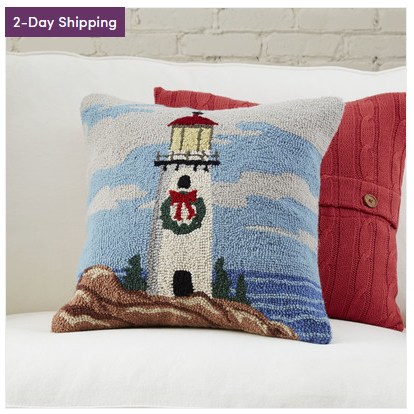 I love coastal pillows! If I were to win the giveaway, I would appreciate any one. 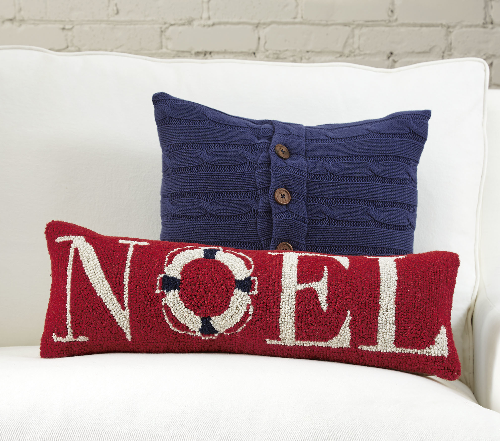 I do love the oh so very merry pillow! Love everything that is coastal! I love Deck the Palms! 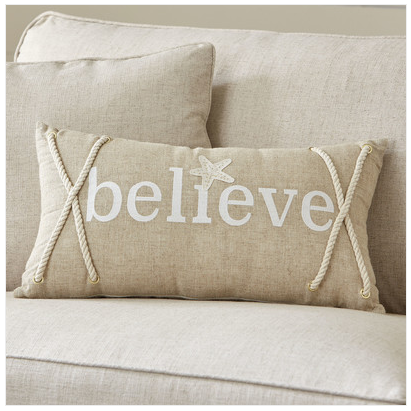 Living in AZ in the desert is hard with no water around me…my house is a beach oasis when you walk in…these pillows would be great! 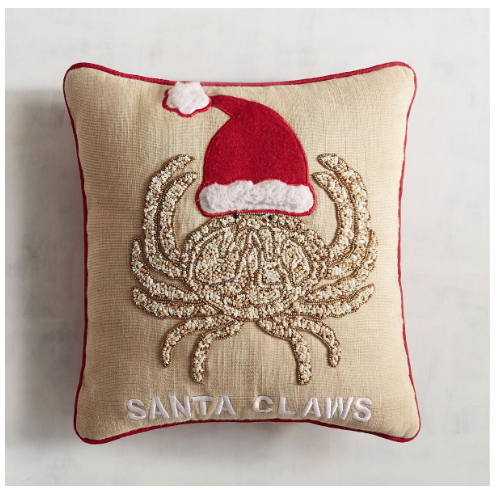 I like the Santa Claws pillow; so cute! 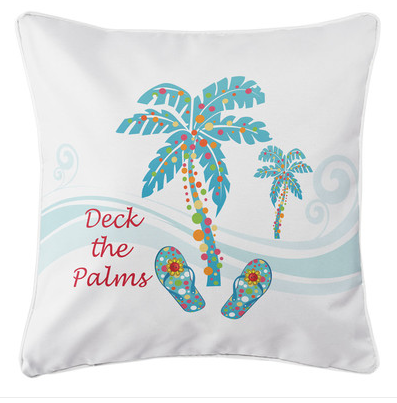 I love the deck the palms pillow! 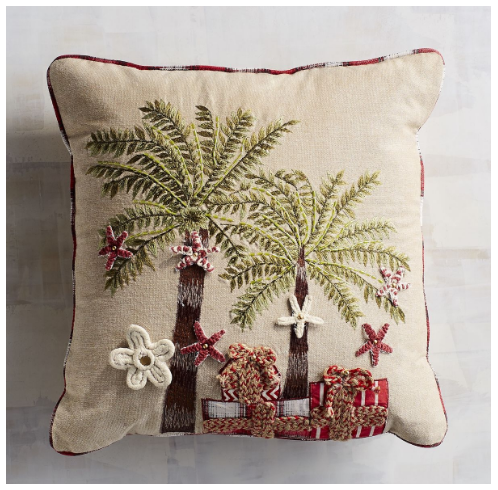 I live in FL so this pillow is perfect! 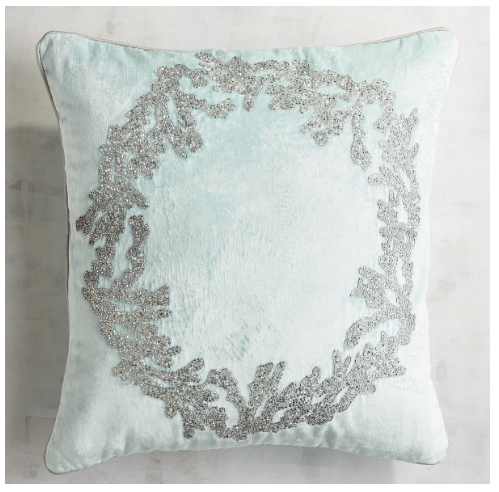 I love the Icy Blue Coral Wreath Pillow!!! These are so pretty. 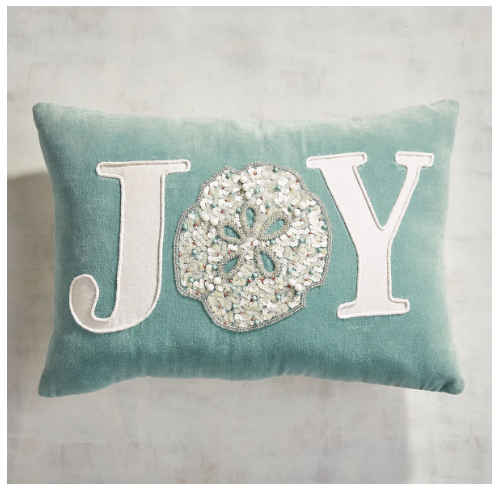 My favorite is the turquoise Coastal Joy Shell lumbar pillow. 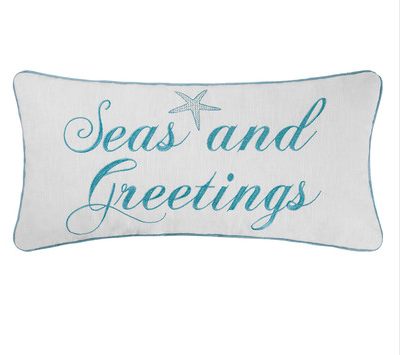 This is a wonderful collection of coastal holiday pillows. I love them all! Thanks for putting this together. 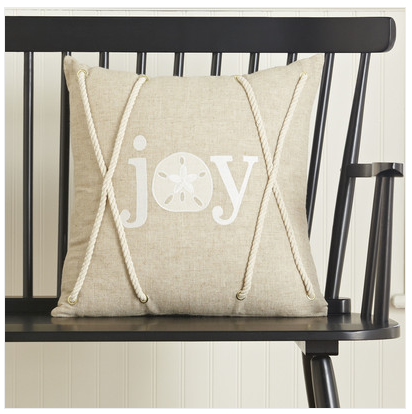 I love the Coastal Joy Lumbar Pillow! Lovely!! 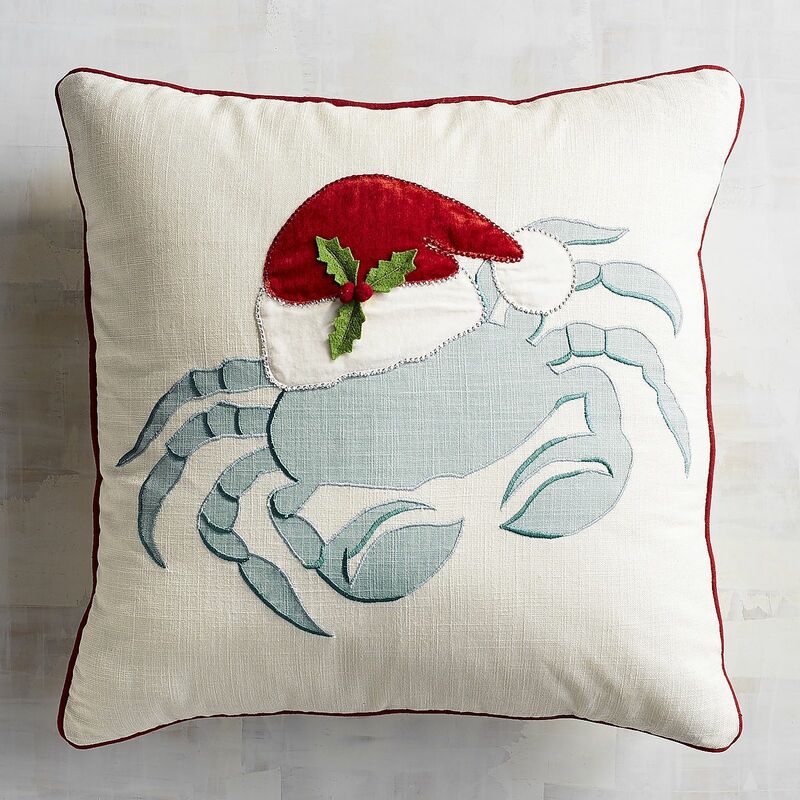 I love the mistletoe blue crab pillow! 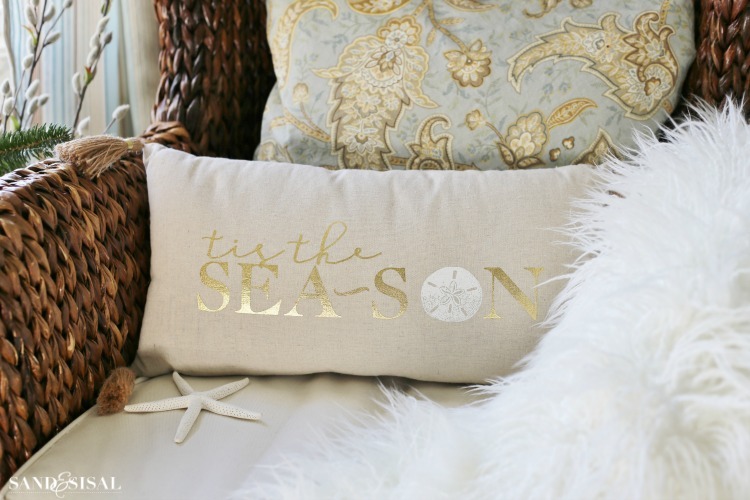 Love the Christmas by the Sea pillow!! I love ALL of these!!!! 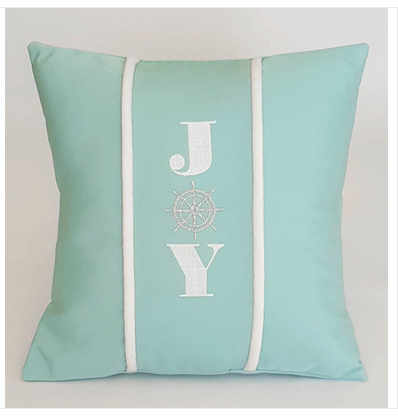 The coastal Joy lumbar pillow!! 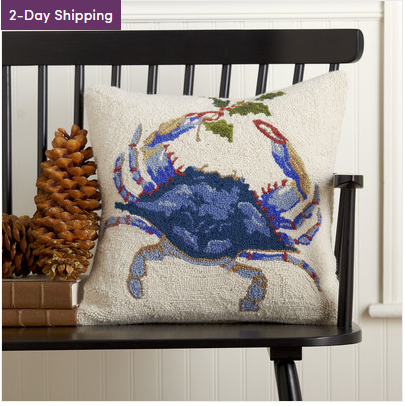 Mistletoe Blue Crab Hooked Pillow is my favorite. Gorgeous pillows!! Would 💚 to win!! Palm tree with presents is gorgeous <3!